Have you ever come across someone with a craft business concept that was so completely prefect, you wished you had thought of it yourself? Here's how to create that kind of magic for your own business. It can be tempting to want to copy that perfect concept. Copying, however, is generally not a wise strategy, particularly if you don't fully understand why that business is effective. What makes that business work for them might not work for you. 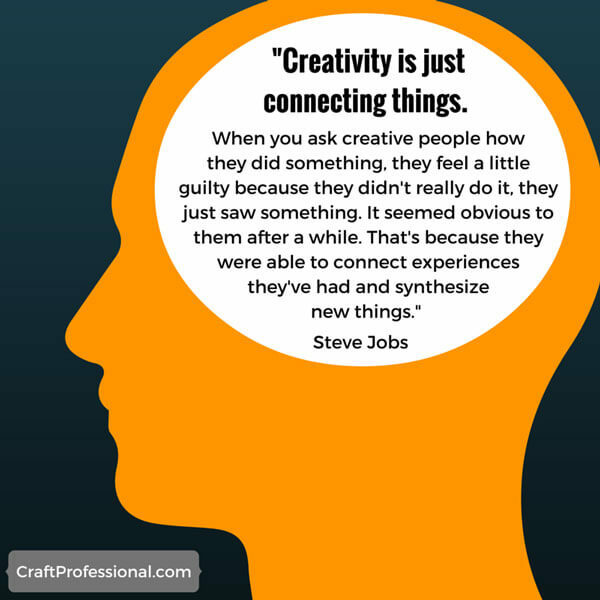 You need to come up with your own craft business concept that takes full advantage of your own talents. You need to uncover your own significant skills, experience and knowledge that makes you uniquely able to deliver something special to your customers. One way to do that is by connecting things that haven't been connected before. Let's look at ways to connect a creative business niche with a special skill, knowledge or experience you have. You've probably heard about niche marketing - targeting a small, and very specific group of customers. Niche marketing makes a lot of sense for solopreneurs like craft business owners. Niches generally have less competition, so a small business owner can develop a presence in a niche even if he or she doesn't have the kind of resources larger companies have. Plus, the needs of customers within a niche are well defined, so you can really understand and meet the needs of your niche customers. Niches are fabulous. So how do you get one for yourself? If you're going to sell something handmade, you need to have developed enough skill in the medium you work with to create something fantastic. That might sound like an obvious thing to say, but I've seen people jump into business with a craft they have limited experience with, so I think it's worth mentioning. You don't need an advanced degree in your medium, but you do need to be able to produce high quality work. You might develop new skills and work with new media over time, but you need to start from a base of something you're already good at. That's the easy part. Most people don't go past this stage, so they don't differentiate themselves from others in their category. You might be a talented graphic designer, or an accomplished knitter, or a skilled woodworker. You already know that about yourself. But how do you stand out from all of the other talented artists in your category? That's the tough part of the equation. Next, you're going to try to connect your creative skill with something else you're good at. Brainstorm experiences, interests and areas of skill that are specific to you. We're not thinking about crafting skills at this point. Instead, think about other aspects of you. What extraordinary expertise do you have? Think about different aspects of your life that give you unique insight into a niche. You might want to draw a mind map to help you brainstorm. I prefer to do this kind of brainstorming on paper, using a blank page in my printable planner because I find computer-based brainstorming ends up lost in the black hole of my laptop. If you're someone who prefers computer-based mind mapping, give Popplet a try. It's free, easy to work with, and looks better than other mind map tools I've tried. Once you've brainstormed a list of your skills, knowledge and experience, think about how you could combine that expertise with your crafting skills to create a product that really stands out. If you need a little inspiration, here's how a couple of designers have done that in two very different ways. Emily McDowell is a card designer and cancer survivor. On the surface, you might not think those two things have anything in common. But if you look at it more closely, you'll see how her creative skill (designing cards) and her individual experience (being a cancer survivor) come together to give her a unique ability to create something special. Emily has developed a line of cards called Empathy Cards. Her cards are created for people who are going through a serious illness, and they are written by someone who knows how it feels to be in that position. 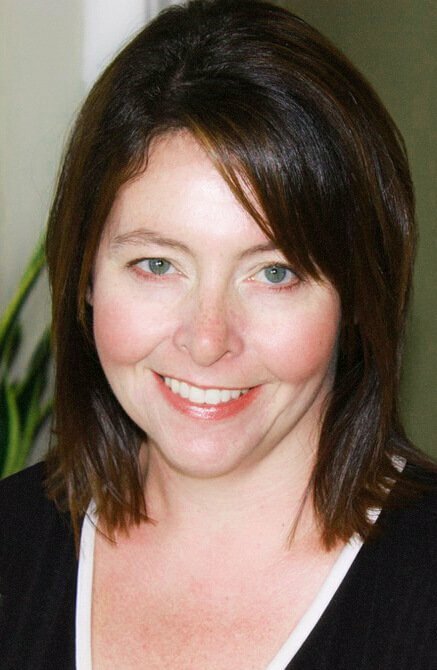 In interviews, Emily has noted that when she was dealing with her own illness, a lot of the cards she received felt hollow, and some were even unintentionally hurtful. She wanted to create the cards she wished she had received. Her perspective as a person who has survived cancer gives her an uncommon insight into the needs of people who are going through a serious illness. She knows what people should say and what they should avoid saying. She can help her customers be supportive friends by giving them the right words in a situation when people often don't know what to say. Emily McDowell has combined her skill as a card designer and her experience as a cancer survivor to create something special that couldn't easily be created by just any other card designer. You can check out Emily's shop and order her Empathy Cards here. Here's a completely different example of the same approach to combining your creative skill with another personal interest or area of expertise. Emily Stoneking is a knitter with a love for science. She has combined those two loves to create Knitted Dissections, which are knitted dissected animals. You need to see it to understand what I mean. You might wonder, who needs a knitted dissected lab rat, or a pattern to knit your own dissected frog? If you check the number of sales on her Etsy shop, you'll see a very respectable number of people need (or want) those items. Emily's creations are fun and clever, so they are getting a lot of mentions on popular art and culture blogs and plenty of social media love. I know I couldn't resist sharing her store with the knitters in my life. If she simply knit cute, undissected stuffed animals, there would be no buzz. Creating something new by putting together two things that haven't previously been connected, in this case, makes the product intriguing and worth sharing in a way that creates a lot of interest in her Etsy shop. 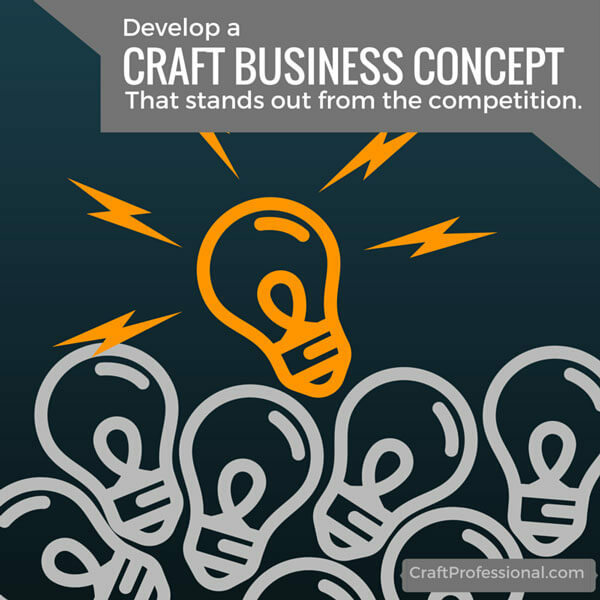 What's Your Ideal Craft Business Concept? What knowledge or skill can you combine with your creative skills to develop a craft business concept that truly stands out in your category? How can you add some facet of your own personal life experience to your creative skill to develop a product that meets customers' needs in a way that only you could do? I've done similar brainstorming with clients. Career advisors call this search for skills outside of your main area of expertise a transferable skills analysis. Sometimes options jump out immediately, and sometimes you really need to let the ideas ferment for a while before you find the connections and come up with something that works. Consider all of the skills you can share with your customers. Avoid rushing the process, and don't dismiss anything out of hand because a connection isn't immediately obvious. If you give the process some time and effort, you might be pleasantly surprised by the opportunities you discover. If you want more help developing the kind of product and craft business that is a great fit for your unique skills and experiences, as well as your expectations, have a look at the product development series.